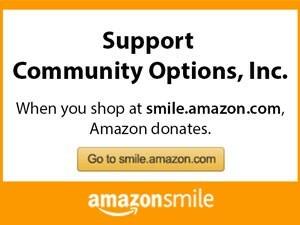 Financial Gifts | Community Options, Inc.
All gifts to Community Options, no matter what the amount, are truly appreciated and help us carry out our missions of empowerment and inclusion for people with disabilities. Community Options offers several financial giving options. Click on each below to learn more on how to make a difference. To volunteer with Community Options, Inc. contact the office nearest to you! Our Mission: To develop employment and housing opportunities for people with disabilities. We believe that all persons, regardless of their level of disability, can and should live and work in the community with dignity, choice, and self‑determination. Our Vision: To establish an endowment for Community Options to expand our programs and services for people with disabilities and spread our message of equality and inclusion. In an effort to address the disparity that people with disabilities experience everyday, Dr. Clarence York and Robert Stack created The York Foundation, an IRS tax-exempt organization under 501(c)3, identification number 22-3839872.